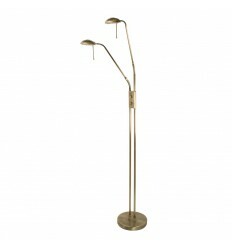 Floor Lamps - Hegarty Lighting Ltd. 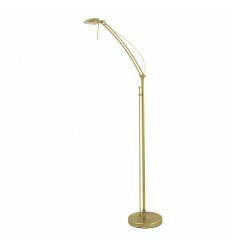 Floor Lamps There are 75 products. 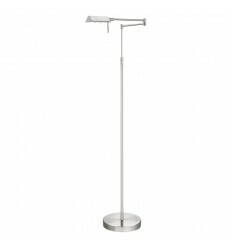 This satin silver adjustable LED floor lamp with cylindrical head and polycarbonate lens is modern and stylish. 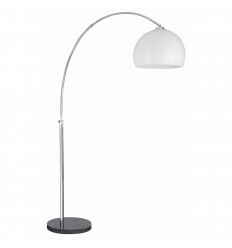 This adjustable LED round head floor lamp with polycarbonate lens is a simplistic design which will add a modern feel to any room within your home. 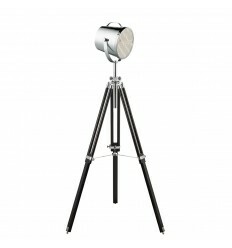 This black stage light floor lamp with its chrome shade is bold and stylish. 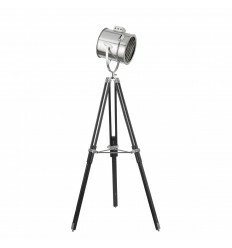 The design is based on the classic stage lamp style, with an adjustable cylinder head and grilled spotlight, as well as a stylish tripod stand. 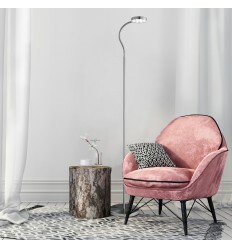 You can bring a feel of Hollywood glamour to any room in your home. 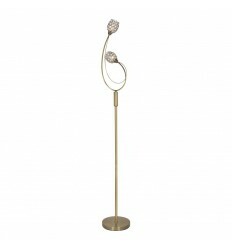 The Alaska floor lamp is in a choice of finishes with mesh design shades inset with crystal glass discs. 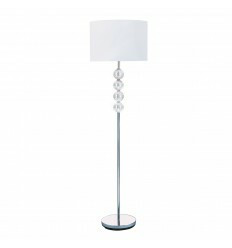 Light up your living room in style with this Arcs stylish, contemporary curved floor lamp. The chrome finish base provides a solid foundation for the extravagant overhanging arc with circular black shade and silver inner, which would be perfect to overhang your sofa and provide an interesting focal point. 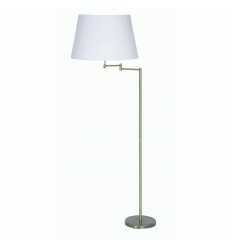 Light up your living room in style with this Arcs stylish, contemporary curved floor lamp. 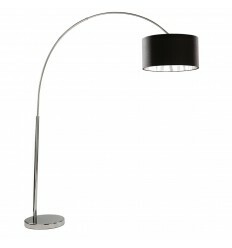 The black marble base provides a solid foundation for the extravagant overhanging arc shaped white shade. 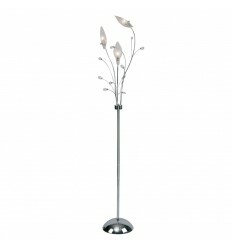 The Bellis 3 light floor lamp with clear flower glass and leaf decoration makes an attractive feature in any corner of your home. The ornate design is intricately finished and the three flowers create a beautiful lighting effect for your bedroom, living room or dining room. 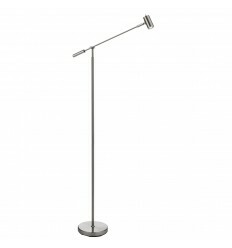 The Break floor lamp is a classic design in brushed steel or black and has an adjustable arm complete with a white shade. 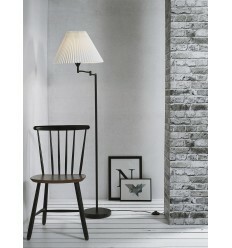 This floor lamp is clean and contemporary. 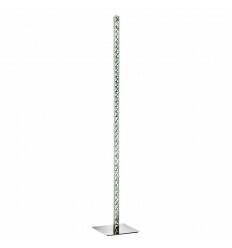 The tall chrome finish stand features four clear glass balls stacked on top of each other near the top, with an elegant white fabric drum shade above. It looks stunning in any contemporary living space. 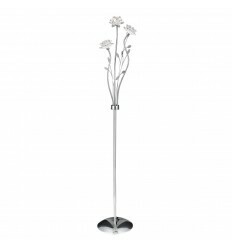 This Clover chrome LED column floor lamp with clear crystal trim is modern, simple design styling at its finest. 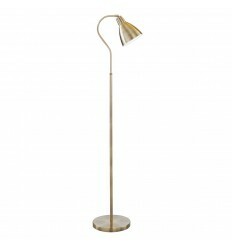 DIEGO - a sophisticated fully adjustable floor lamp with a great mid century design feel. 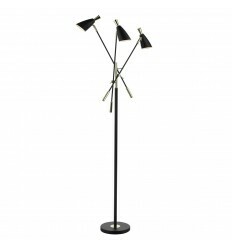 In soft matt black with gold highlights on the metal work the 3 adjustable heads can angle light in any direction to illuminate dark corners, highlight artworks or just create great mood lighting.